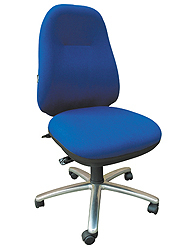 Renovating and refurbishing office chairs and seating makes economic and environmental sense. 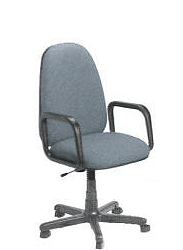 The cost of renovating an office chairs represents an average saving of over 50% against purchasing a new one. Refurbishment, rather than disposal, also creates less waste, reduces landfill and carbon footprint and epitomises a more sustainable, environmental approach that is crucial to many businesses and organisations today. Any moving part that is faulty can be replaced and a quotation will be provided to do so. On approval, the renovation is then carried out, replacing faulty parts and re-upholstering the fabric according to your colour and style needs. Where a large volume of chairs are being renovated, we can provide a sample chair service in the fabric of your choice for approval before completing all the remaining chairs. The renovated chairs are then delivered back to you. From collection, a standard service and renovation takes approximately two weeks. 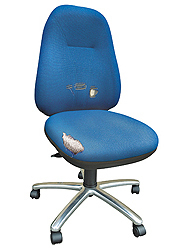 Replacement furniture can be loaned if required whilst the refurbishment takes place.